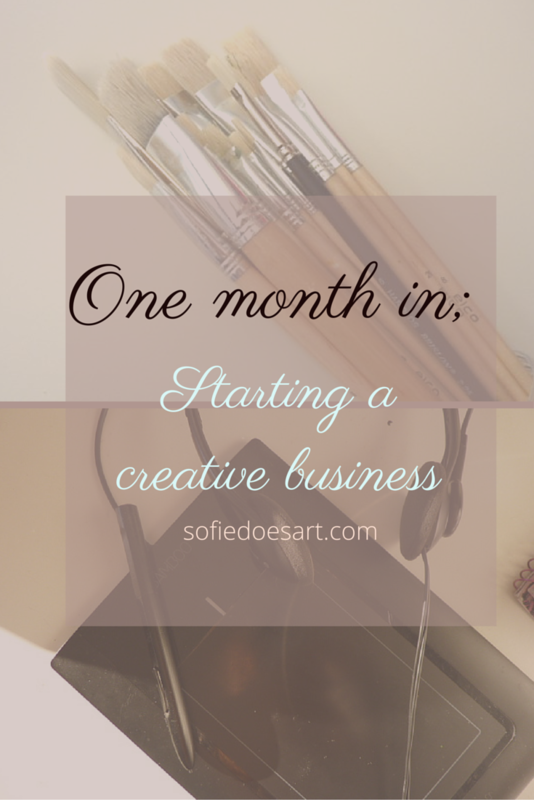 I started this blog to track my starting of a creative business and to share my art. This is my first-month point of me doing this and it was just amazing. So before anything else I want to thank everybody who has read and commented and liked. As I’m writing this WordPress informed me that I now have 50 likes on this blog! To me this is insane, I never expected to have reached this already. I also want to thank everybody who followed me. I’m grateful for every one of you. Thank you so much for the support! So let us take a look at what I did this month. What I’ve learned and improved and what could do better! So just a little recap to my to-do list of last time in my two weeks in post. Launch Etsy store Done. He is up and running, but I need to customize and write some more for this. Make PayPal Done as well and a lot easier than I anticipated. Finish logo It has become an entirely different design than I anticipated but I love it. Write the project blog post; I did not do this and It will probably take some time before I will because the project is far from done, I need to do a lot of drawing and designing. Make custom buttons; whoops, really should have done this one, It is all for my website social media buttons. (Upgrade to wordpress.org? ); Turned out I can not do this for another month so I have to patiently wait. This month has been amazing like I said. I found out that I like blogging a lot more than I anticipated and I really got into reading others blog posts. Like I said before, I now have 50 likes and about 12 followers (which is almost double from my last count). I wanted to have a minimum of 10 views a day which I now know is not a good statistic to look at and I didn’t make it. It was looking really well for me until this weekend where my views suddenly dropped. My likes, however, really started to become more frequent which I’m taking as a sign that I am really improving my writing (maybe because I found the proofreading option in WordPress). I also think that my photo editing has improved now that I try to have more in one post. Visuals in a blogpost really make a lot of difference I think. I also think that my photo editing has improved now that I try to have more in one post. Visuals in a blogpost really make a lot of difference I think. I also chose a branding for my blog which I will make a separate blog post about, but I just want you to know that I’m in love with it and that I’m looking forward to expanding on it. So that was it blogging wise for now! I haven’t sold anything yet, but I think that is mostly because there aren’t a lot of options to do so. I did launch my Etsy shop, but I noticed that after the initial views there was not a lot of interaction. I also think that my photo’s could have been better and the shop overall is not complete. I also had a really interesting chat with my cousin and fellow shop owner Maaike van Nierop! I own her special thanks for explaining the ins and outs of Etsy to me. She makes beautiful hand painted cards and original artworks. I wish I could show you an income for this month but for now the balance is – 50 euros. All of the money has gone to the hosting and custom domains of my blog and my website. I did, however, open up a Paypal account so at least I now have the option to get paid if I ever sell anything. I personally hope that by looking less at the numbers and more at other results there will be less stress involved. I am really enjoying this journey, in general, and I think that is one of the most important things to do. If you are an artist in the same situation, and you want to collaborate in one way or another then please contact me. (sofie.arts@gmail.com) I would love to be able to help each other and even though my exposure isn’t that big yet I think everybody can help each other. If you are thinking of starting a blog yourself, I wrote a blog post the other day full of resources to check out. Also a slightly older blog post about all the mistakes I made this month. Thank you again to all of those who supported me till now and I hope to see you next week! Hi Romica, it’s lovely to meet you! It’s great to find others who are on the same journey and your blog is wonderful! 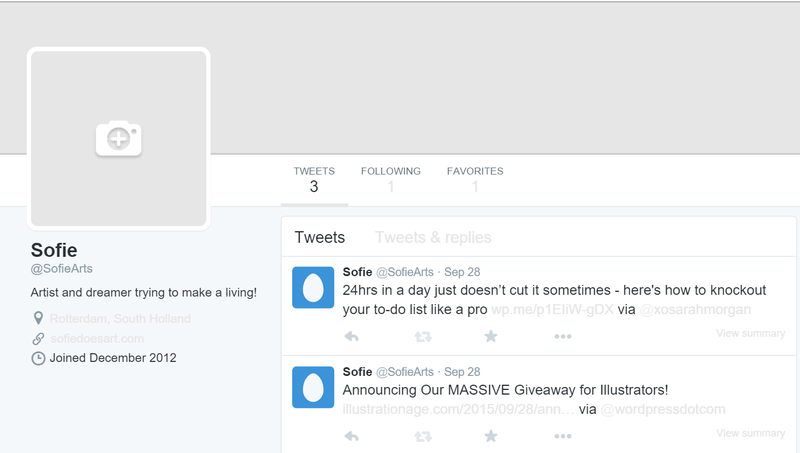 Did you create the header yourself? Hi again 🙂 I was very happy as well to find you as I was feeling a little bit hm alone? on this journey so it’s really nice to meet you. I’m happy you like my blog. It’s not so clear yet where I am going with it but I hope over time it can become a bit more “me”. I really agree with the self-hosting. I am about to switch to a self hosted blog but somehow hesitate a bit. I would love to hear it! I still need to wait till November. Really should have done my research on that one.